Whether you’re a professional musician, a lifelong enthusiast, or a young buck looking to make music a future career, chances are, you have a growing collection of synths, controllers, and various other gear that you rely on to cobble together your musical creations. And every year, new ones come along that change the way we make music. With the first month of the year firmly behind us, we’ve had our early peek at the various new musical tools we can expect in the coming months. Here are some of our favorites. It looks like a DAW controller that you can plug into a laptop to make music on Ableton Live. Except, the Akai Force is a standalone controller with its own built-in DAW software, allowing you to produce music without the need for a separate computer, making it easier to set up and use, whether in live shows, in studios, or right in the comfort of your bedroom. It comes with 64 multi-color backlit pads, a 7-inch touchscreen, eight touch-sensitive knobs, four fully-editable synth engines, 16GB of onboard storage, an SD card slot, two USBB 3 slots, and even space for a 2.5-inch SATA drive (supports both HDD and SSD), complete with multiple inputs and outputs, six track types, multiple performance modes, MPC sample editing, and a whole load of advanced features. The catch? It only runs Akai’s custom DAW, so you won’t get access to whatever software you’re already used to, making this device’s success highly dependent on how well that built-in software actually stands up to Ableton Live, Pro Tools, and the rest of the popular DAWs in the market. 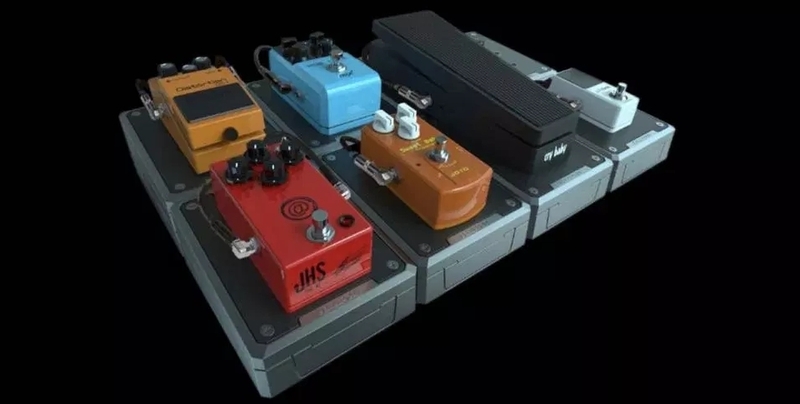 If you’re a guitar player, it’s not unusual to have multiple effects boxes in your regular playing setup, with many requiring a generously-sized pedalboard (or two or three) to adequately accommodate all those stomps and boxes you need to have at your feet. The Pedal Pod is, basically, a modular pedalboard that allows you to assemble one as big or as small as your needs require. While that sounds nice enough, each module also contains its own isolated power source, with adjustable voltage, allowing you to set it to output 5, 9, 12, 15, or 18 volts with a single flick, which should help you avoid power problems that aren’t uncommon in complex effects setups. 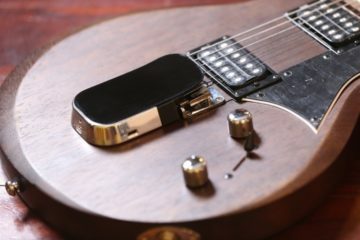 Other features include the ability to lock with another module on any of its four sides, two separate loops, a selectable buffer, and even noise-reduction tech, so this is quite the sophisticated system for guitar aficionados. RELEASE INFORMATION: No release date or pricing has been announced. Three years ago, Line 6 released their wireless relay system, which allowed you to play your electric guitar without being tethered to your guitar amp. Later on, they equipped the same tech in their amplifiers, streamlining the process even further. 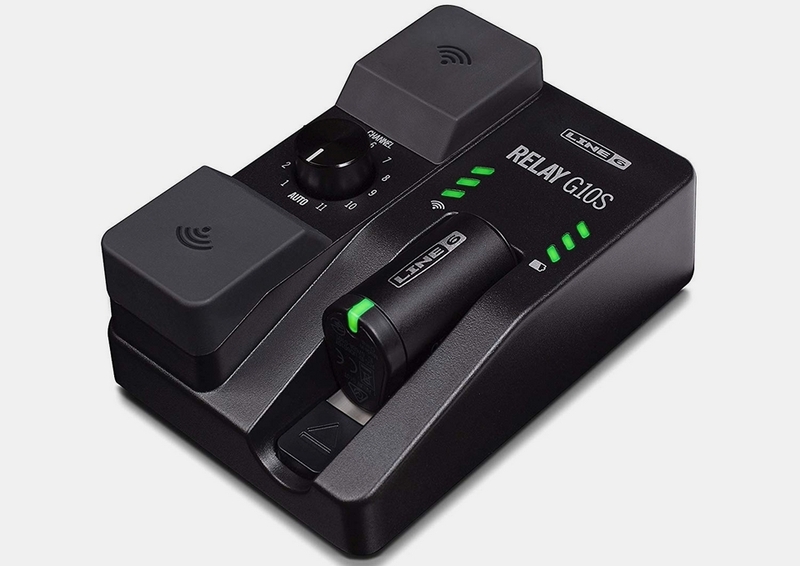 With the Relay G10S, you can now use the same wireless tech to connect to your effects setup, allowing you to shred on your six-string while being completely liberated from the hassle of cables and wires. 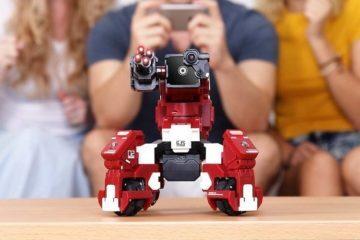 Even better, you can be fully connected from up to 130 feet away, so you can run around on stage, jump into the crowd, and still keep on playing without missing a beat. Now, if only they can figure out a way to activate an effect without having to come over to the pedalboard and stomp on the pedal, life will be complete. Teenage Engineering is further expanding their Pocket Operator line this year, bringing the trend of modular synthesizers to their tiny music-making tools that they’re calling “the poor man’s modular” system (those are just words, of course, as these aren’t that cheap, either). Dubbed simply as 16, 170, and 400 (full-fledged analog synth), the three devices all come with aluminum bodies that can be folded in pre-cut sections, allowing you to create a genuinely customized setup. 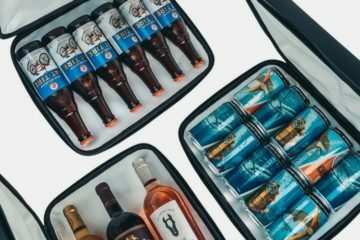 Each of those sections, by the way, is its own module, which you can either keep, remove, or reposition to whatever works best for the setup you have in mind. 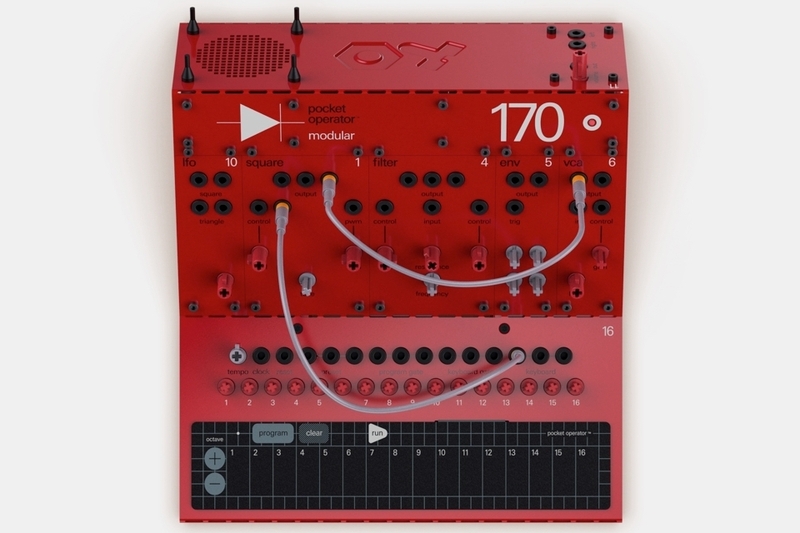 The 16 is a membrane keyboard with a built-in sequencer containing 16 tunable keys, while the 170 is a membrane keyboard and monophonic analog synth that contains nine modules. The 400, on the other hand, is a full-fledged analog synth with 16 modules, including two voltage-controlled amps, three oscillators, and a mixer, among others. Individual modules will also be made available later in the year, so you can further customize your music-making contraptions. RELEASE INFORMATION: Ships in the first quarter, priced at $149 for the 16, $349 for the 170, and $499 for the 400. 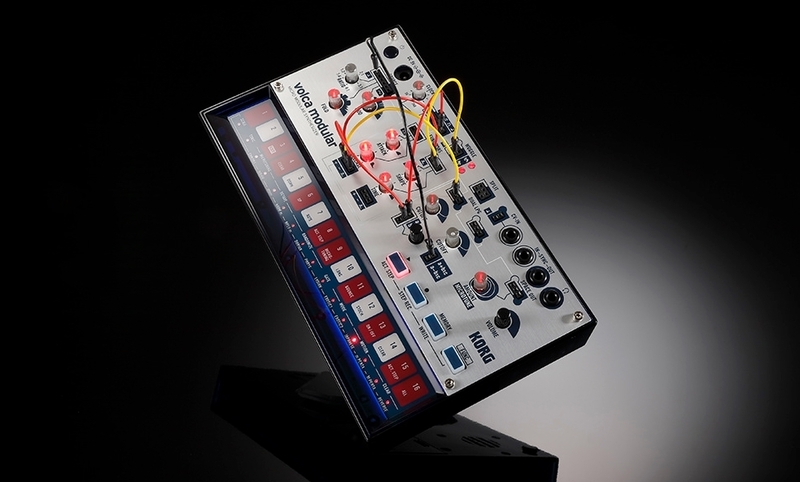 Billed as a “semi-modular synth,” it comes with eight modules (source, woggle, dual LPG, space out, function generators, split, utility, and sequencer) that can be patched together through any of 50 available points using jumper wires instead of traditional cables, while CV input and output slots allow you to hook it up to other analog gear. 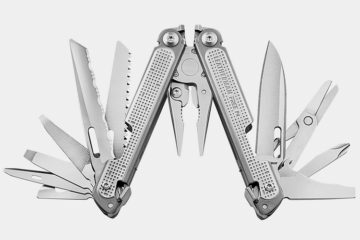 RELEASE INFORMATION: Available in early 2019, priced at $199.99. An updated version of 2016’s polysynth, the Minilogue XD gets the same analog oscillators as its predecessor, while adding a third digital oscillator with three types of sound generators (noise, VPM, and a customizable slot), allowing you to create all sorts of hybrid tones. 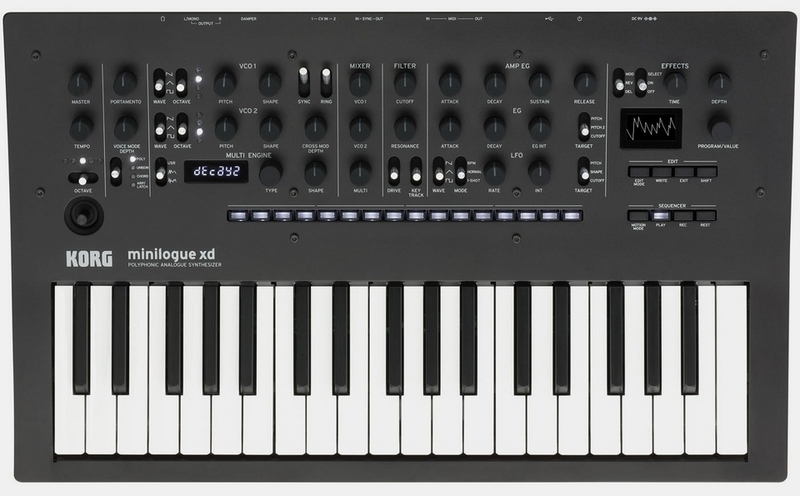 It gets a new micro-tuning feature, a polyphonic 16-step sequencer, and the same digital effects found on the outfit’s flagship Prologue synth, along with a joystic for controlling pitch bend/modulation, two CV-in connectors, and full stereo outputs. RELEASE INFORMATION: Available in winter 2019, priced at $649.99. Billed by the French brand as “a grain of madness,” the Arturia Microfreak combines a digital oscillator, an analog filter, a touch keyboard, a 5×7 modulation matrix, and storage room for up to 192 presets, allowing you to craft unabashedly off-kilter sonic creations. 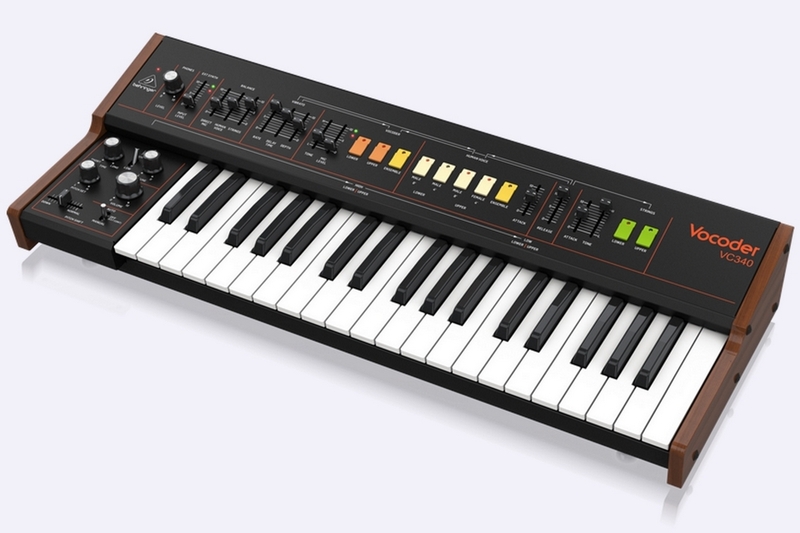 It has 11 oscillator modes, including a few unique ones the outfit claims “other synths simply wouldn’t consider,” as well as a touch keyboard equipped with pressure sensitivity and polyphonic aftertouch. The modulation matrix, a staple on the outfit’s recent synths, allows you to shape your sounds in even greater detail, while CV outputs allow you to hook it up to your favorite analog gear. RELEASE INFORMATION: Available in April, priced at $349. 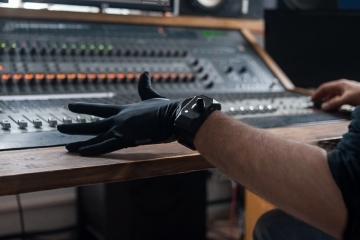 A clone of the SH-101, this synth gets 32 full-size keys, a 3340 VCO with four simultaneous waveforms, a 32-step sequencer, VCF, ADSR, arpeggiator, and the classic synth’s signature handling elements (strap and hand grip), making it easily wearable during live performances. It’s now on preorder, priced at $329. A recreation of the Roland VP-330, this analog vocoder gets 37 semi-weighted keys with velocity sensitivity, 32 sliders and switches, a multiple-stage bucket-brigade chorus, a mic input, and a comprehensive USB/MIDI implementation for hooking up to your electronic rigs. It’s now on preorder, priced at $599. 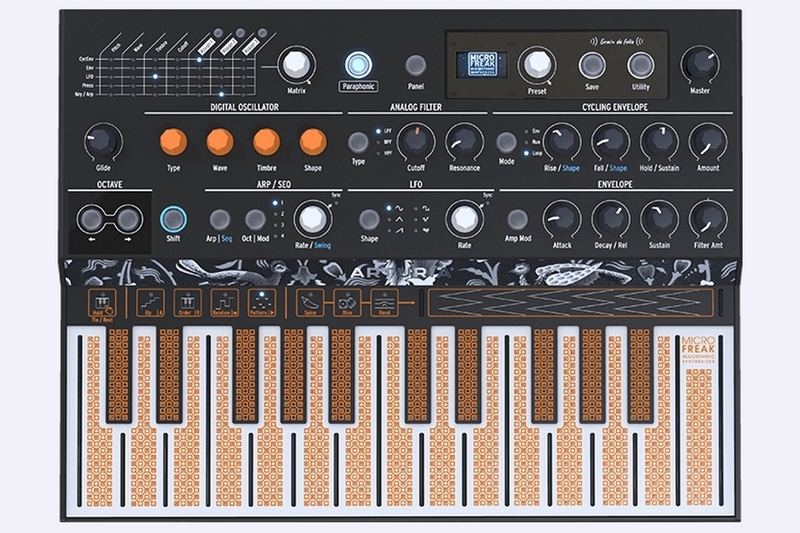 A clone of the Korg ARP Odyssey, the analog synthesizer comes with full-size keys to seemingly one-up Korg’s own machine, all while sporting two oscillators, three VCF options, all filters from the three versions of the source design, AR and ADSR envelopes, VCA drive, Klark Teknik effects, a sequencer, and a slew of other features. It’s also inherits the hefty build of the more expensive model, so it’s as detailed a recreation as you can ask for. 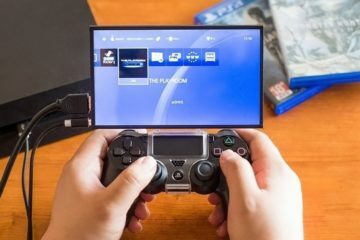 No word on pricing or release date, although it’s supposed to have gone in production back in December. Easily one of the most popular announcements from the outfit, this Roland TR-808 clone looks exactly like the drum machine it’s aping, so we imagine it bears much of the same capabilities, although we can’t find an actual listing online. 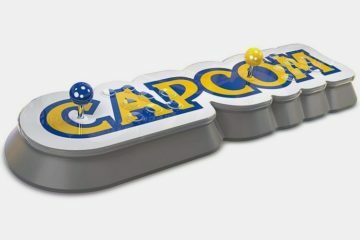 It’s supposedly arriving in March, priced at $299. 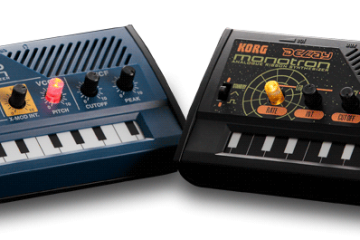 Aside from the four instruments above, Behringer is also on schedule to release the Pro-1 (Sequential Circuits Pro-One clone) and the UB-Xa (OB-Xa clone) this year, with more reproductions likely to come as soon as they get this current crop out of the way. Few instruments look goofier than a keytar, which is why it’s never really caught on, despite being around for several decades now. With the 37-key Sonogenic SHS-500, Yamaha is targeting the absolute novice crowd, since they’re less likely to mind the wacky aesthetics, if it means actually being able to play their favorite tunes competently without the same time investment a traditional keyboard requires. So how is this keytar a more efficient learning instrument than other keyboards? For one, Yamaha is bundling it with a “vast ecosystem of educational apps and software,” putting plenty of learning material at your disposal. Central to the system, though, is the Chord Tracker app, which can analyze songs in your library and send the chord data wirelessly to the keytar over Bluetooth. From there, you can engage “Jam mode” to play any of those saved tracks, as a way of practicing whatever you’ve learned of the instrument. With the chord data stored onboard, the keyboard won’t let you play the wrong note, only producing a sound whenever you actually bang on the right keys. Without the distraction of bum notes, you should be able to play through any song continuously, making the learning process more enjoyable while also helping build up your confidence in the instrument. RELEASE INFORMATION: Available now, priced at $499. I’m a bit confused on the Akai Force. It seems you can’t use it with Ableton Live, but you can sync your project to any Ableton Link compatible device or application, according to the Amazon listing. That means I can use Akai Force and then send it off to Ableton to continue working on my music project right? Yes, you CAN send your project from Akai Force to sync with Ableton, and then continue working on it within Ableton. 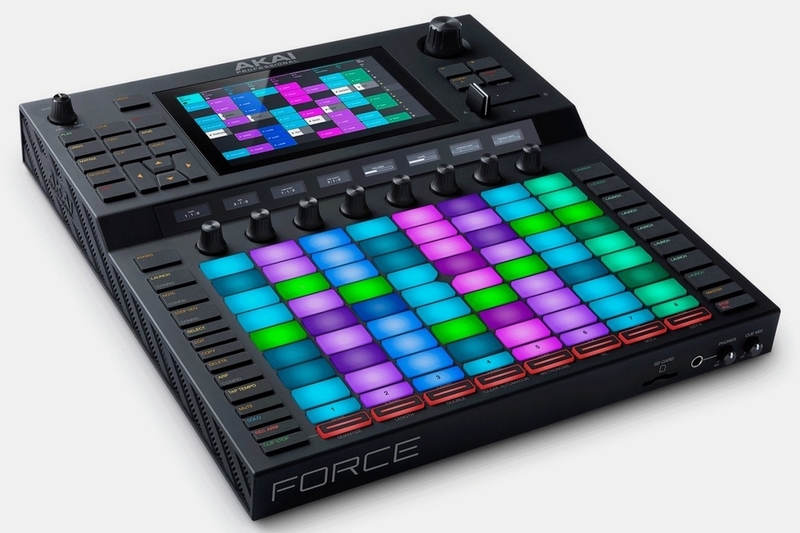 It seems the Akai Force 2 is designed for the person who wants to make beats as well as using it for live DJing. I can see a strong use for the right person with the Akai Force, but for now, I’ll just stick to GarageBand and my Ableton plugin. If I was doing live DJ work, I would definitely look more into the Akai Force. The sync feature for Ableton is NOT available yet. They are predicting it won’t be until March. The Akai Force is not truly mobile either. It is larger and has no internal battery, so you must have it plugged in. 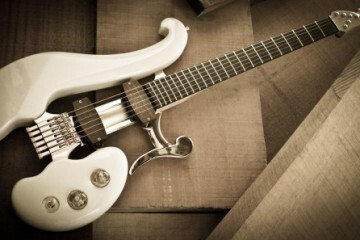 If Behringer didn’t clone other instruments then some Chinese companies would be. I am glad that Behringer is bringing the cost of reliable and quality equipment down. If a kid gets interested in music, it could cost more than all there other activities combined. 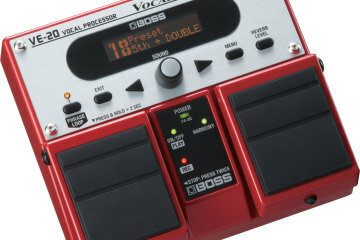 Maybe the Roland is the top of the line, but if a person cannot afford to get one, then they may never learn to play. Not every town has a music store where you can rent instruments. Once a person gets a cheaper Behringer and develops an interest in it, then they can consider getting a higher-end keyboard in the future. Behringer makes quality, and it is still expensive, but much cheaper than the other alternatives. There were some quality problems with some of Behringers older equipment, but they seem to have fixed all of that. 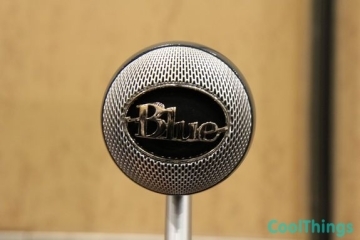 Behringer offers all the features of more expensive music products, but at a cheaper cost. It may not be as fluid to use depending on which instrument you buy, but if you are low on money and still need a fully-featured instrument, then Behringer is the only way to go. Oh crikey! You had my interest in this until I seen the size of it and has no built-in battery. I want something truly portable where I can lay on y bed using it or take it to Starbucks with some headphones. I prefer the traditional knobs combined with a touchscreen like this has, but the size is prohibitive for mobility. For a DJ this will work great, but for beat makers like myself, if I am going to buy something like this it either needs to be truly portable or have all the bells and whistles that can be found in a machine in a studio. And if they had made the Akai Force smaller then people would have also complained. I am sure they did a lot of research within the industry to see what people wanted, and the Akai Force is what they came out with. It might not be perfect for you, but other people such as mobile DJ’s, this is the perfect solution. I am surprised they released it though without Ableton support yet. Lack of Ableton support seems like a bad choice to me. The Yamaha keytar looks interesting. I have never seen a keytar before. I like how there is the training mode on it to keep you from hitting the wrong keys. 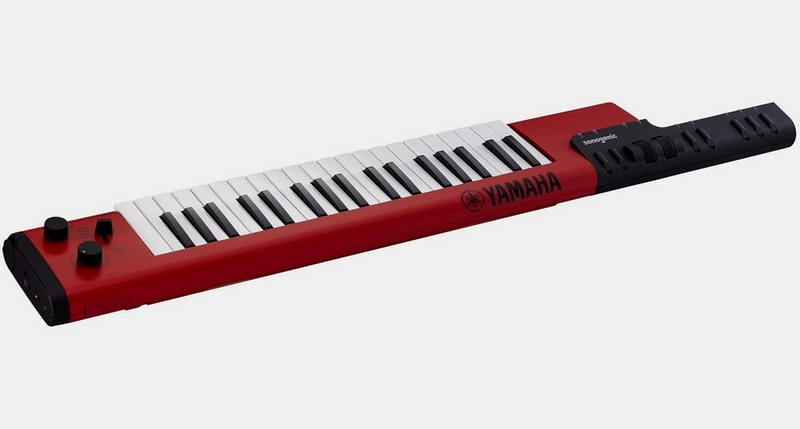 It looks like you can learn to play keyboard a lot easier with the Yamaha keytar then you would with a traditional design keyboard. The integration of the app to pull chords from songs you have is pretty cool. I think Yamaha is on to something great here. A lot of fo people may have an interest in learning an instrument, but once they save up and by one they are disappointed with the results. Professional music tutoring can get expensive, so having the Yamaha app to help teach you how to properly pound on the keys to learn music is going to help keep people interested in the instrument and not quit immediately.